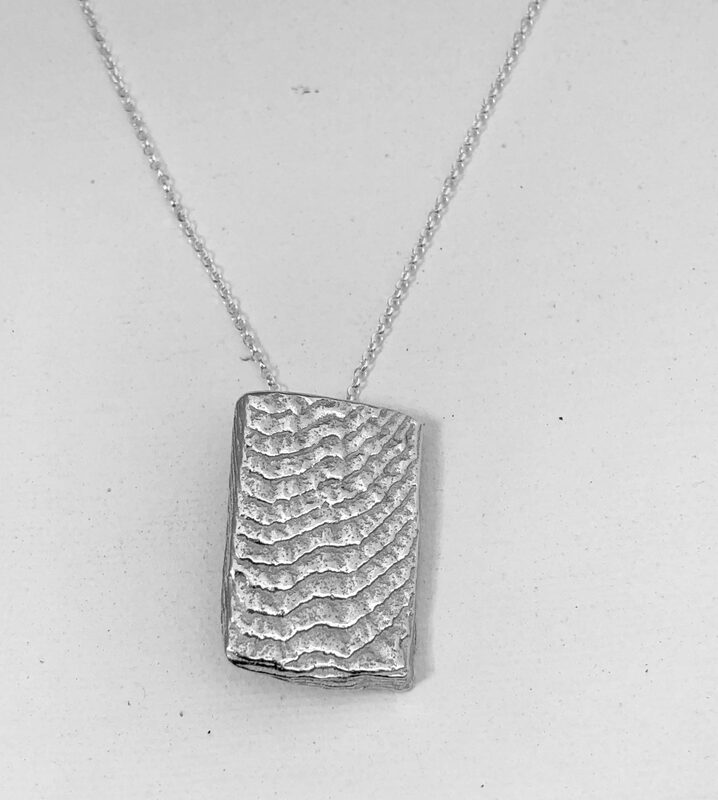 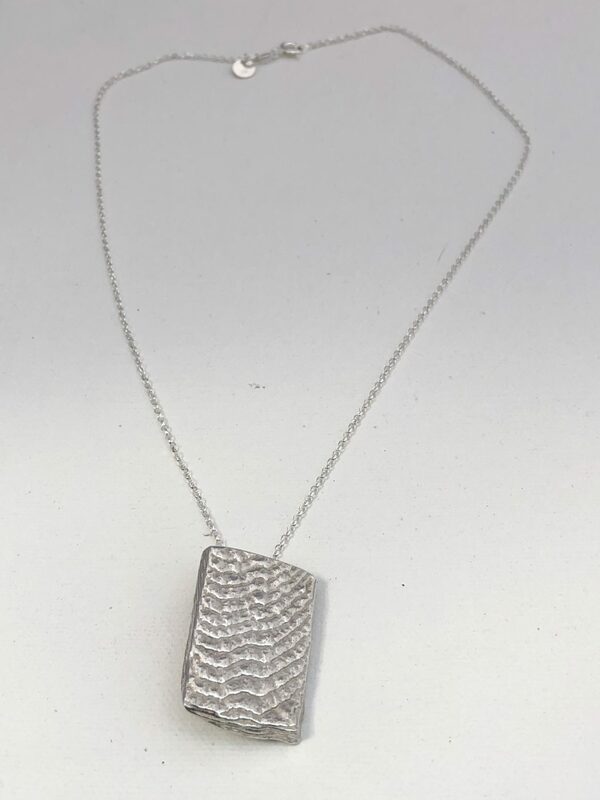 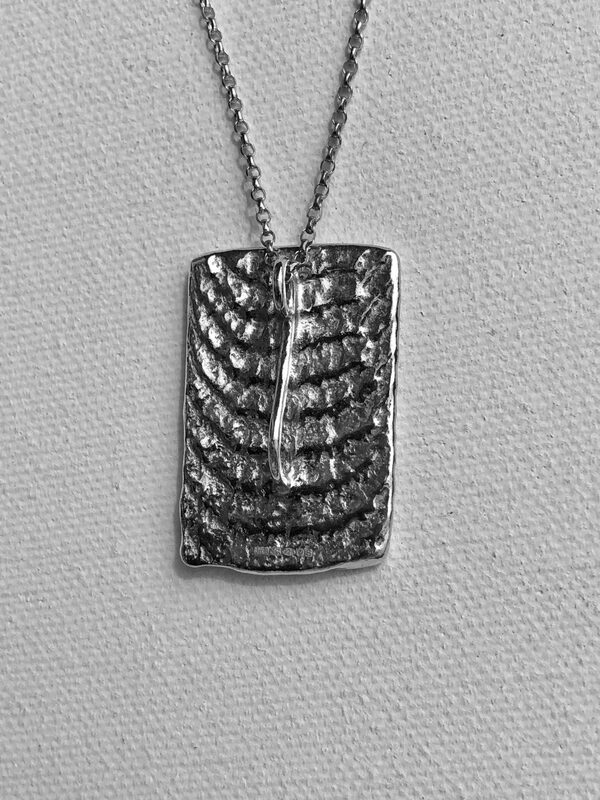 This striking pendant is handmade using a sandcasting technique and recycled sterling silver. 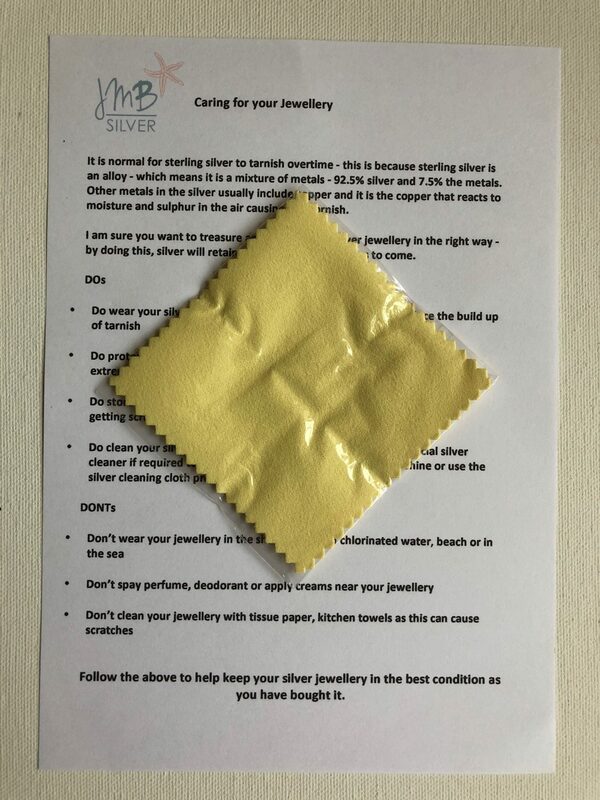 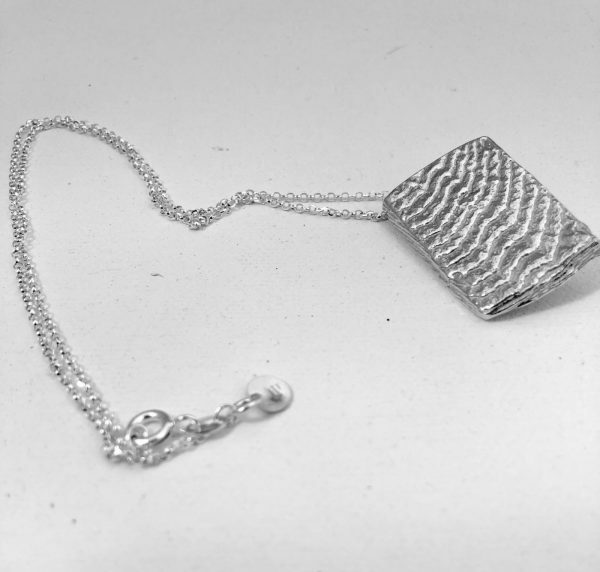 It measures 3.1cm x 2.1cm x 0.3cm and weighs 15.8g. 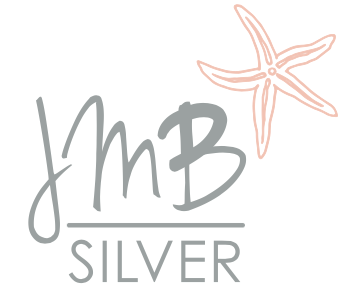 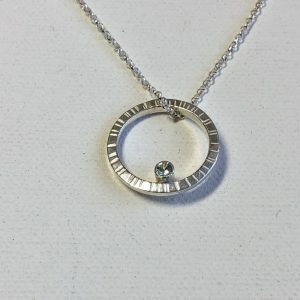 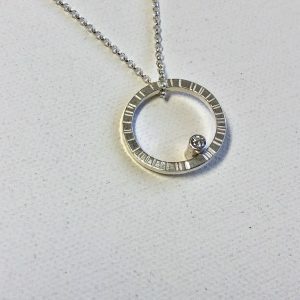 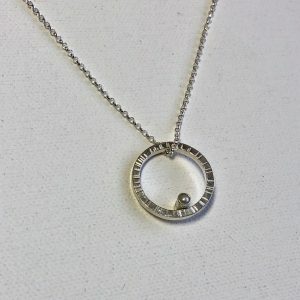 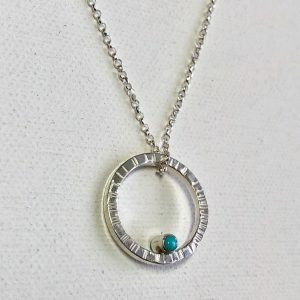 It is hallmarked and sold with an 18” sterling silver chain.